Teaching affixes and roots can be a problem. First of all, where does it fit in among all the literature that you want to read, the reading skills that your kids need to work on, the types of writing you need to cover, and the composition skills you want your kids to pick up this year? How do you work these upper level word attack skills into your daily lessons? Do you teach bit by bit as interesting words come up in readings, do you teach systematic units on word parts, or a little of each? Whatever you do, organizing it all can be a chore! 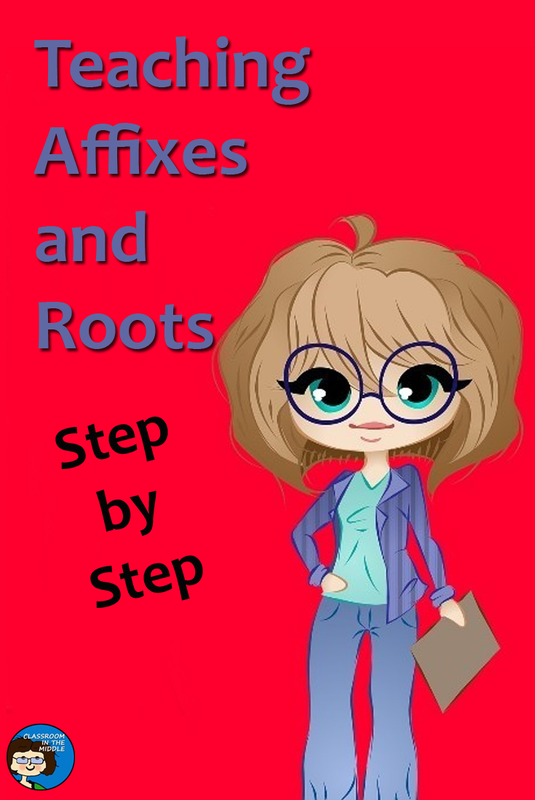 There are so many prefixes, suffixes, and roots out there, and each type of affix or root presents its own challenges. 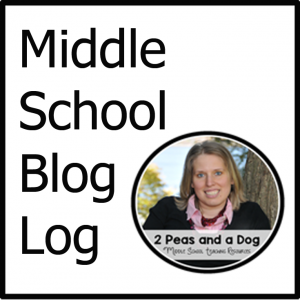 Even though kids in upper elementary and middle school have had experience with dividing words into these three parts before, I still like to start with the basics. Sort of a beginning of the year refresher. 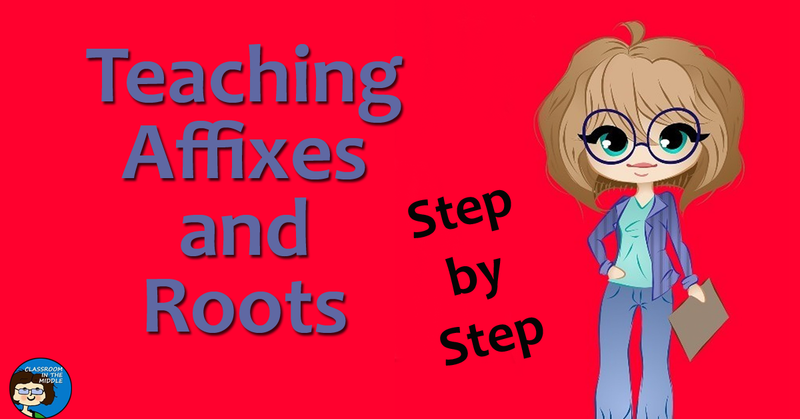 First comes a general introduction to prefixes, suffixes and roots. 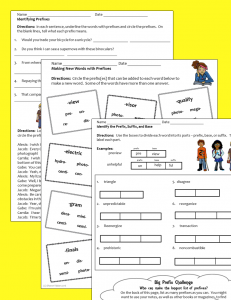 Plenty of kids need this reminder of the basics – simple things like which parts are prefixes and which are suffixes, and how they are combined to make words. Words with obvious, easy to recognize roots and common prefixes and suffixes work well here. You can add on new ones later. For kids who lave learned the basics in earlier years, a quick lesson may be all you need, such as a presentation for the whole group followed by some brief practice exercises. Once kids have the idea (or remember that they already knew it!) it’s time to start building. 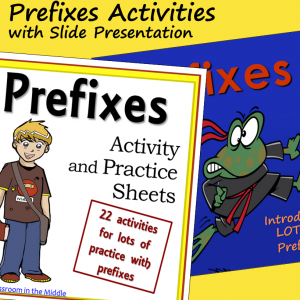 Each year, students can benefit from adding a number of new prefixes and suffixes to their repertoire, as well as new Latin and Greek roots. Some teachers use lists organized year by year to add new ones in a systematic way. Some prefer to use words as they come up in reading. Or maybe a little of both? When introducing a new word part, you can be very specific. 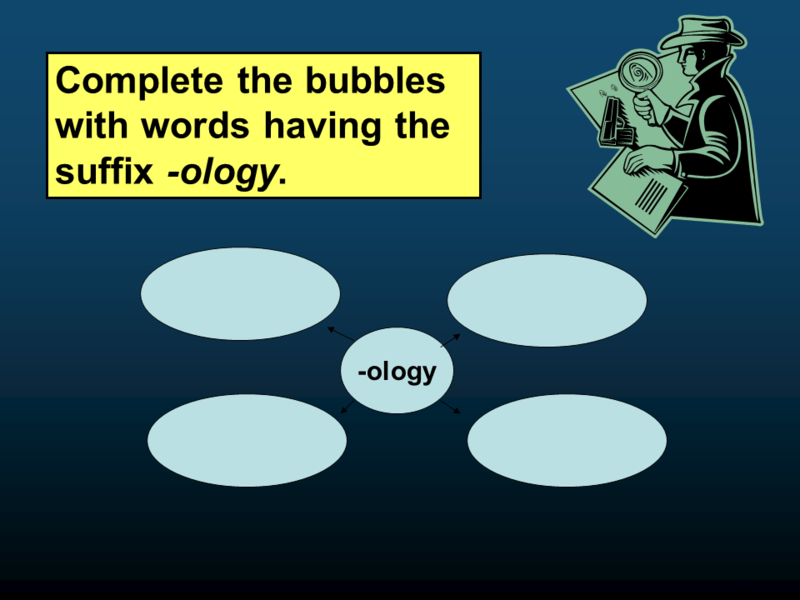 Give a few examples of words with this affix or root, and have kids come up with more of their own. Whole class activities are great at this beginning stage. Then, when kids get into it and start branching out into more words, then it might be time to differentiate a bit. 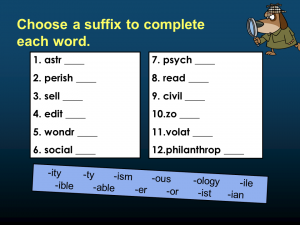 The following slides are from my Suffix Slide Presentation and Activity Sheet Set. Now that you know your kids have a good foundation, small group activities and individual practice should both work well. Kids can progress at their own speed, and assignments can easily be adjusted to fit varying student needs. 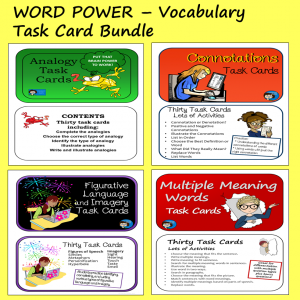 Task cards are a perennial favorite resource for these types of activities. 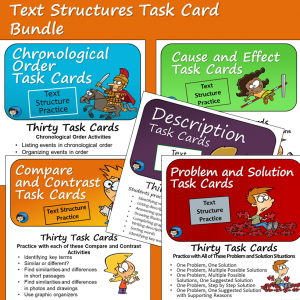 This year, I plan to add sets of task cards for prefixes, suffixes, and roots to my store of language arts resources. Practice not only helps kids remember what you’ve already taught them, it can also help them to expand their skills. As kids practice recognizing word parts and using the words in their writing, their language fluency grows. 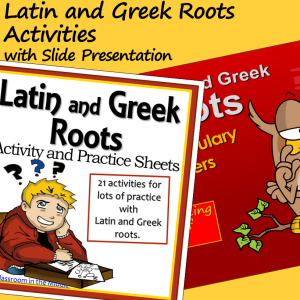 The practice sheets shown below are a few of the items in the Prefix Activity Sheet Set and the Latin and Greek Root Set that are included with the slide presentations. Kids with good upper level word attack skills can more easily decode new words in their reading. (Yes, kids in middle school and beyond still decode words!). They also have a deeper well to draw from as far as vocabulary words to use in their own writing. 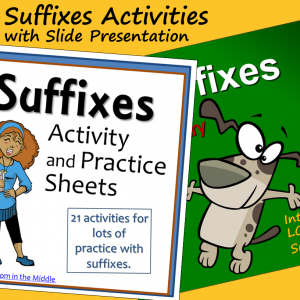 So even though it may be a pain fitting prefixes, suffixes, AND roots into your curriculum, it’s worth it, and a little bonus is that with so many prefixes, suffixes, and roots out there, it’s really easy to include differentiation in these lessons. 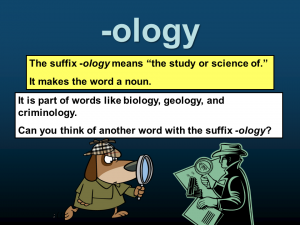 The resources linked below are each designed specifically for teaching these important vocabulary skills to middle school and upper elementary kids. 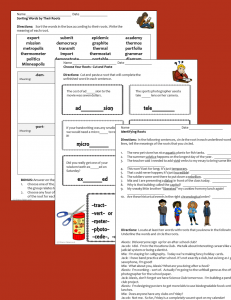 Check them out if you could use a few new resources to add to your file of teaching materials for the year.